Going to Chipata, Zambia never fails to inspire me. The Kubiks arrived on Monday then on Wednesday we drove to Chipata so the Kubiks could meet the brethren and see the new church building. Before the Kubiks arrived we went to the Zambian high consulate to find out how we could get multiple entry tourist visas. The woman in the embassy told us that they don’t do the visas at the embassy but rather only at the border. Last time we went, the border patrol told us they couldn’t give us the visas, only the embassy could. Eventually we found out that American citizens are eligible for a 3 year multiple entry visa that costs $80. However, you must apply online. We went home and intended to do that but came across problems when we needed to upload our return flight information to complete the application—we were planning on driving, not flying. Then we found that you can get single day visas for only $20. Since we were planning on only going for one day we decided to do that. We couldn’t get those visas online, only at the border. 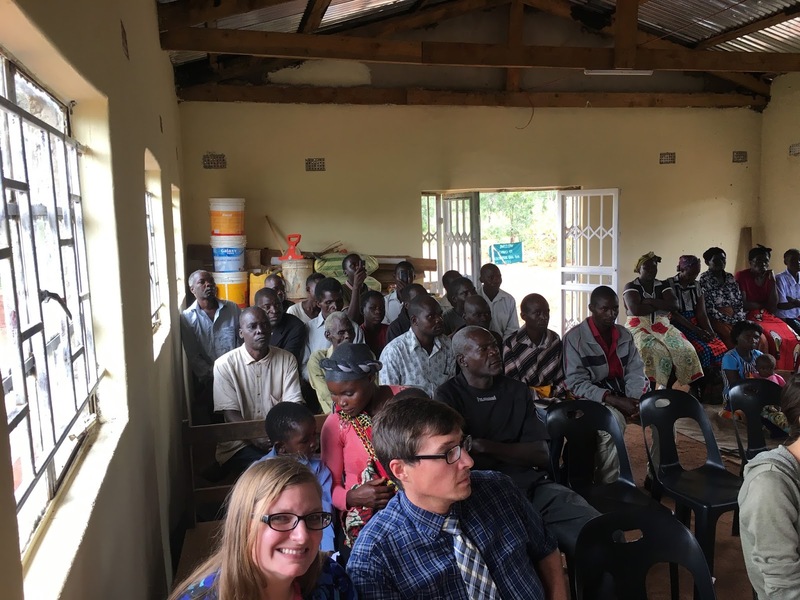 On Thursday when we got to the border we learned that they only issue $20 single day visas between the Zimbabwean and Zambian border—not the Malawian and Zambian border. We could, however, get a single day visa for $50 each. Grr. We had to keep reminding ourselves “it is what it is” because at the end of the day, regardless of what the embassy or immigration website say, the border patrol is always right and the guard with the machine gun will always win. Chipata, as usual, was fantastic. I love going there. Filius enjoyed sharing with Mrs. Kubik, the president of Lifenets, how much Lifenets has helped the members there. There’s one woman in the congregation who is a widow and takes care of orphans whose parents had died from AIDS. The past few years there was a bad drought and food shortage so Lifenets sent money for food to the Zambian people. Filius didn’t use the money to buy food but to instead buy seed and soil, and then he distributed the seed and soil to members who were in need. Because of this, the woman who is caring after homeless children has enough food to feed herself and children for the rest of the year. Mr. Filius is such a huge inspiration to me. He loves his people so much and is so humble. The Chipata church hall has been updated since we were last there—new curtains, the stage was painted, and the signs were put up. The hall is far out of town and surrounded by members’ maize fields giving it a beautiful and peaceful atmosphere. After the talks, we had a tour through some of the fields, to the hand dug well (these hand dug wells terrify me), and then lunch! It really was such a great time. We got back home with our hearts filled to the brim. Our God is so great. I was continually reminded of the parable with the servants who were given talents. When their master returned and saw the ones who multiplied their talents he gave them even more to rule over. 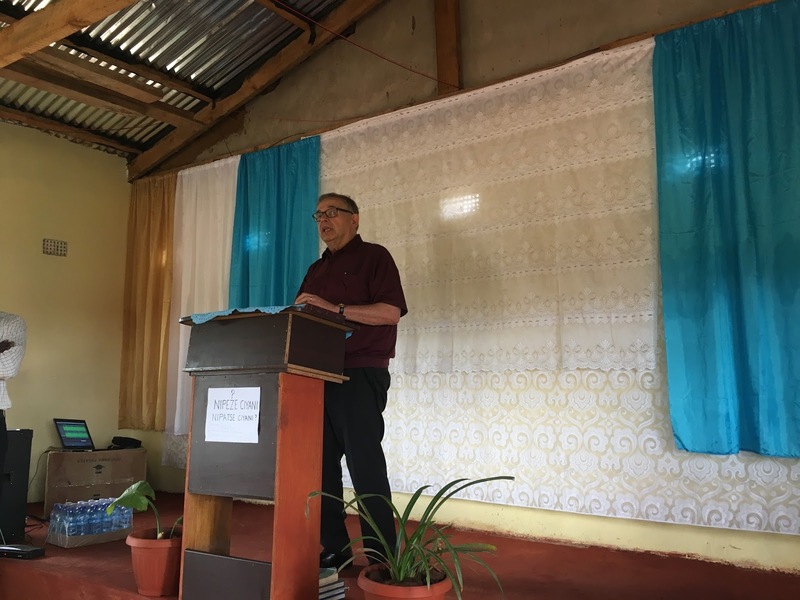 Mr. Filius started a radio program with an amazing heart, and through that he preached the gospel and God called many people. 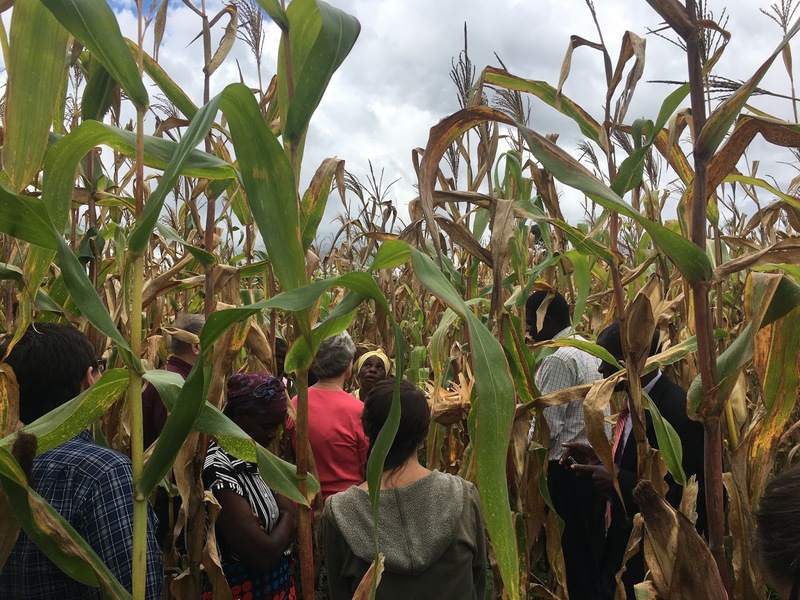 Then there was a food shortage and the congregation was blessed with money for food but Filius saw that the food was a temporary solution that would last for only a few months so he decided to create a sustainable solution and helped members grow maize. When we were in Chipata he asked Lifenets for support. Not financial support, but for spiritual and moral support. Visiting that congregation always leaves my heart full and inspired. Mr. Kubik talking about God's blessings in the Chipata hall. Viewing the fields and well! Last night was the Passover and it was great. It’s amazing how distance, culture, and language can separate us but God’s Spirit truly binds us together. We are the same because in God there are no Jews and no Greeks, no Malawians and no Americans, just sanctified loved children. The first time I truly realized that was when I was in the Ukraine in 2015. I was keeping the Sabbath with a Sabbatarian group in Khust, Ukraine and us young adults sang As the Deer for special music. We’d sing one verse in Russian then the next in English and I remember the unifying spirit that brought us together as a family. My Ukrainian was not good and my Russian was even worse. They couldn’t speak much English, but we had the song, As the Deer, in common. Our God is a God of many nations, peoples, cultures, and languages. This time of year is so special—there’s just an excitement in the air, smelling the unleavened bread baking in the oven, and preparing for Night to be Observed! My life has changed so much in the past six months and I am so thankful to God for that. I got married, moved across the world, and grew spiritually. I owe all that I have to Him. God is so good. I hope you all have an uplifting Spring Holy Day season! I wrote this blog a week ago but forgot to post it… Prepare for old news. This past week has been more relaxed than others. I was happy to be able to catch my breath but now I’m ready to go again. We’ve been out visiting with brethren (and got a visit from two men from Nkhotakota) and I’ve been working in the Lifenets office. Lifenets has a business office and shop here in Lilongwe. I’ve been helping in the shop (My experience as a supervisor at a grocery store has paid off!) by condensing and organizing paperwork, setting prices, and working in the shop itself. The shop has a new employee—the past employee left to become a police officer—and she is great! I love being able to work with her and see how stuff is done here in Malawi. Brennan has been very busy with hymnal accompaniment. Anyone who knows Brennan knows how musical he is. For the past two weeks he has been learning the hymns on the guitar and got the youth involved by having them sing back up. The worship portion of services is so uplifting and joyful now! 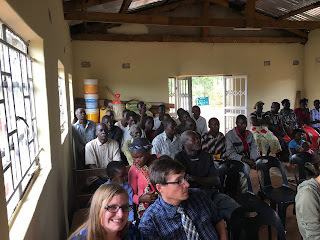 Last Sunday, we drove up to Mzuzu to visit the Kachali family. I’ve known the family since I was 13 so it was exciting to see where they live. Mzuzu is in the northern region of Malawi, about six hours north of Lilongwe. Northern Malawi is a bit cooler and has a lot more forest than the central and southern parts. I was told that years ago Mzuzu was a huge forest, but since the illegal sale of coal is so prevalent, the forest has been diminished and parts have completely disappeared. Being with the Kachali family was a lot of fun though! We had a Bible study at a near by church hall and ate some delicious food. 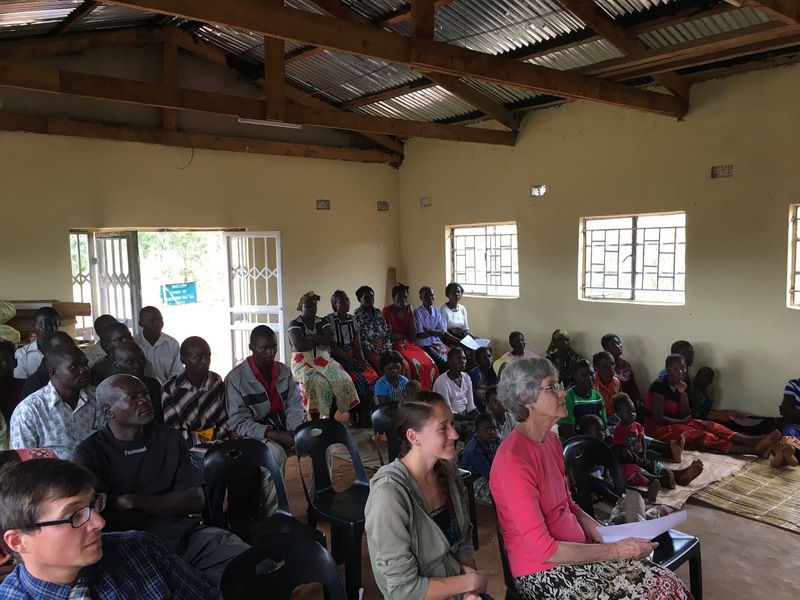 The Thursday after Mzuzu we visited Emmanuel Rashid and his four-year-old son. It was a great time! I really enjoy that part of being here. The next day was a weird one. Lewis, Brennan, and I waited to meet up with two men from Nkhotakota. As I said in previous blogs, people travel by minibus taxis, and while the minibuses will take you all over the country, they are by no means, fast. Due to traffic and just general minibus slowness, the trip that took us three hours in a private vehicle, took them eight. Once they arrived, the VanAusdles, Julianna, the Nkhotakotians, Brennan and I had a good dinner and good conversations. We’re continually surrounded by spiritual conversations and debates, which reminds me of ABC. I feel like ABC was our training ground and here is where we get to practice.